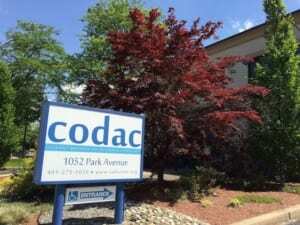 Congrats to CODAC, First Center of Excellence for Opioid Treatment - SMART Management, Inc.
We’re proud to shine the spotlight on CODAC, providing opioid treatment as well as recovery and prevention resources to individuals, families, and communities. 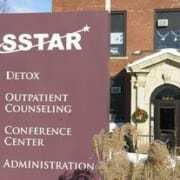 Recently, the state deemed CODAC as the first “Center of Excellence” regarding the treatment of opioid use disorders. Rhode Island health officials estimate 20,000 Rhode Islanders are addicted to some form of opioid. 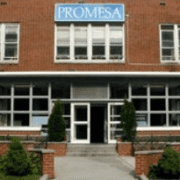 However, only a few thousand are getting medication assisted treatment. Given the number of people affected by addiction, there is a shortage of certified physicians. Currently, R.I. only has a total of 171 buprenorphine prescribers. 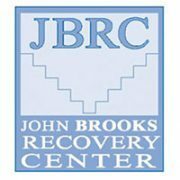 Governor Raimondo advocates for the access of buprenorphine (Suboxone) and the availability of psychiatrists, social workers, and recovery coaches. “Rhode Island’s first Center of Excellence will make it easier for patients with opioid use disorders…,” offers Raimondo. About 1,700 Rhode Islanders died of drug overdoses between 2006 and 2014. In 2014, Rhode Island had the sixth highest rate of overdose deaths per 100,000 residents in the country. The US Centers for Disease Control blames a majority of drug deaths on prescription opioids and heroin. Patients may walk into a Center of Excellence or be referred. From there, patients are stabilized, given treatment, and referred to a care provider in the community. Advocates hope the design will help primary care doctors treat a growing number of opioid dependent or addicted people. Centers are able to cater to patients who may need initial intensive care but do not require in-patient care. Rhode Island is not alone in battling citizen opioid addiction. Connecticut recently deployed a three-year plan to combat addiction based on Yale University research. In the month of August alone, 27% of those admitted to the New Haven outpatient clinic were diagnosed with opioid-use disorder. As US Attorney, Peter Neronha recently pointed out, the numbers of those in need may be obscured. “Those potentially at risk of death were brought back by Narcan.” Naloxone stops the effects of heroin or opioid overdose, stripping the opioid receptor site, and restoring breathing. “When we realize how many times Narcan is being administered, we start to get a sense of how deadly this problem really is,” offers Neronha. Since 1971, CODAC has served the Rhode Island community. 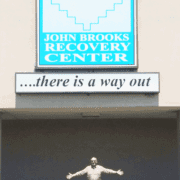 Its five locations enable a range of outpatient recovery treatment and prevention services. Those struggling with drugs, gambling, or addictive behaviors rely on CODAC for compassionate and personalized service.